Nexus 7 FHD LTE Receives Verizon Compatibility Update - Get it Here! 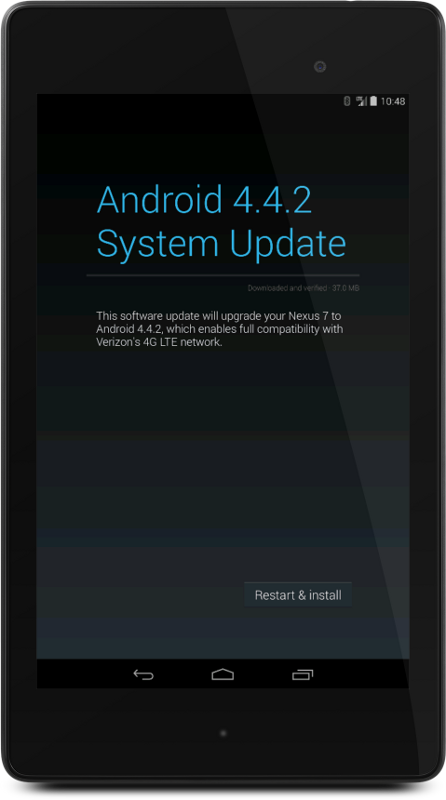 The Nexus 7 FHD LTE received a minor bump to Android 4.4.2 Release 2, which is a compatibility update with changes requested by Verizon for certification on their network. If you are using your Nexus 7 FHD LTE on a GSM carrier, you will not likely be prompted to update, but it does show right away after inserting a Verizon SIM and forces you to download over WiFi. You can try checking your settings for a system update, or sideload the small (37Mb) KVT49L OTA manually using the direct download link and instructions below. Let your Nexus 7 FHD LTE do its thing, reboot, and you are all set to “officially” use your Verizon data plan! The full KVT49L factory image to restore your Nexus 7 FHD LTE is also available here. 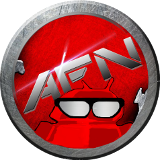 This entry was posted in News, Tips & Tricks and tagged nexus 7, verizon. Bookmark the permalink.